Students, alumni and friends of America’s historically black colleges and universities are set to gather on Capitol Hill on April 27 for a National Day of Action to increase support and awareness of black institutions of higher learning. The mission of the rally is to urge the White House, members of Congress, and state and local officials to maintain funding and increase resources for the hundreds of thousands of students enrolled at HBCUs every year. Organized by the HBCU Collective—a group of advocates who work in politics, education and policy for the more than 100 black institutions of higher learning—will bring together students, alumni and supporters to encourage their individual members of Congress to increase financial support, provide research grants and expand funding for facilities at HBCUs. Black colleges and universities have faced a number of challenges in recent years, resulting in declines in enrollment and school closings, often with a lack of public awareness. Although HBCUs welcome all students, federal and state policies and a lack of resources have weakened these schools’ ability to provide the education and training that have historically propelled minorities and members of underserved communities into the middle class. In addition to convening concerned supporters in Washington, D.C., the HBCU Collective will also host meetings with elected officials and staff members in their home districts and in the districts of HBCUs to make allocating funding and resources a congressional priority. The group also hopes to organize and encourage thousands, through its social media campaign, to call, write and tweet their federal and state elected officials to urge them to focus on the issues surrounding these institutions. “We care about the existence of our institutions, and we are going to make sure elected officials do exactly what they promised, and that is to support our HBCUs and their students financially,” said Dominique Warren, co-leader of the HBCU Collective. There are 101 HBCUs across the United States and the U.S. Virgin Islands that serve over a quarter of a million students yearly. Fifteen percent of all bachelor’s degrees earned by blacks in 2015 were awarded at HBCUs, according to a Pew Research Center analysis of data from the National Center for Education Statistics. 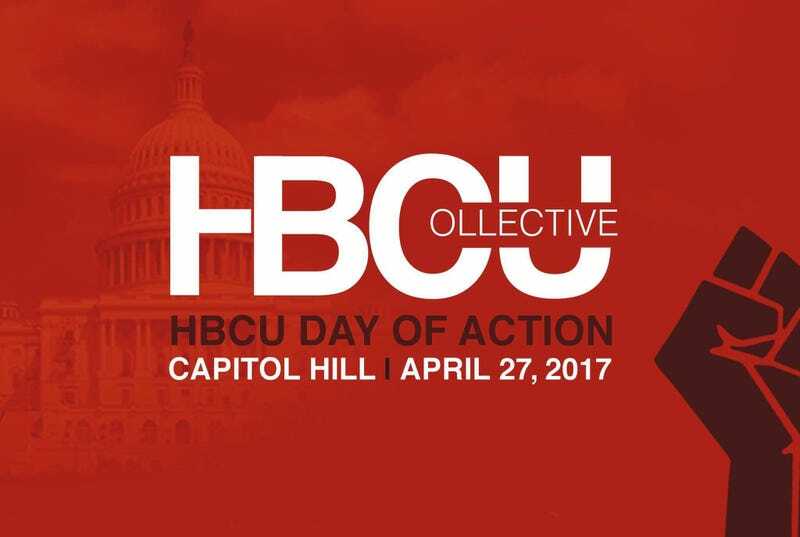 Find out more about the National Day of Action at the HBCU Collective.